Meetology has announced the launch of its Meetology Venue Certification service and signed up the Barbican in London as its first customer. Over a six-week period this summer, a team of psychologists and architects will undertake an audit of the venue, looking at the environment, food and beverage offering, and how meeting feedback data is collected. The information will be used to highlight areas where improvements can be made to the design and layout of the centre that are proven to improve attendee behaviour and performance, and provide a structured methodology for collating event feedback. Meetology founder and chief executive Jon Bradshaw, who unveiled the news at Imex in Frankfurt, said that the venue certification will not aim to create a standard like Green Globe, but represents a commitment by the venue to understanding behavioural science and making changes to improve the meetings environment. Anthony Hyde, general manager of Barbican Business Events, said: "This fits with our ongoing strategy around content. We want to be more than just a venue and create a better environment for our organisers and delegates. This is taking it to the next level." Bradshaw added that a major hotel chain has also signed up for Meetology Venue Certification, and that two new services, Event and Business Certification, will be launched later this year. 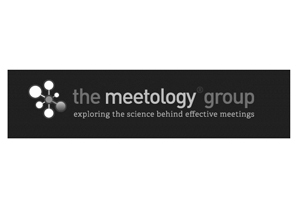 The announcement came as Bradshaw announced the expansion of the Meetology business into the Meetology Group, which will include four main business services: Consultancy, which will include the Venue Certification service, Research, Speaking, and the Meetings Mindset attendee performance brand. Separately, the Meetings Mindset brand launched Meetings Mindset Brain Food, a dietary supplement based on omega-3 fatty acids that is aimed at improving delegate performance, learning and information retention. "We want delegates to realise they can take proactive steps to improve their own performance at meetings," he said, claiming it to be the first performance supplement designed specifically for the meetings industry. He added that the supplement also provides great sponsorship opportunities.